Have you ever felt excruciating pain? So much so that it brings you to the emergency room? Then, you wait several hours to be seen, meet with the doctor, to be quickly told you that you’ve got Carpel Tunnel Syndrome, and they send you home with prescription of Ibuprofen. If it’s happened to you, we are so sorry that you wasted your trip. Carpal Tunnel Syndrome is no joke and can cause tons of pain. 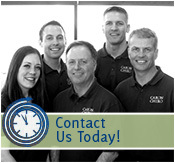 At Caron Chiropractic Clinic, P.A., we want to make it better. If you are searching for relief from Carpal Tunnel Syndrome, one of our MN offices can help. Carpal Tunnel Syndrome is something that anyone can get. It begins with pain, weakness, and numbness in the hand and/or wrist. Sometimes these symptoms can even radiate up the arms. It is caused when the median nerve is compressed as it travels through the wrist. How does it get compressed? Generally, it compresses when there is irritated tendons or some other form of swelling that occurs in that area. Constant typing, injury, and even pregnancy are just the beginning examples of who may feel the effects of carpal tunnel syndrome. People suffering may also feel a decrease in grip strength, making it difficult to grab small objects or perform everyday manual tasks. In worst-case scenarios, the base of the thumb may no longer function and sufferers may lose their sense of hot and cold in that area. Medications do not solve Carpal Tunnel Syndrome. In all honesty, they will just mask the pain. When you have carpal tunnel syndrome, you generally want to fix and alleviate it as fast as you can. While steroids or anti-inflammatory drugs may help a little, it does not fix the problem. Surgery, the more invasive option, always has mixed outcomes and is generally used as a last resort. When you are suffering, getting chiropractic treatment for Carpal Tunnel Syndrome is as conservative and noninvasive as it gets. We work to fix the problem and prevent it from reoccurring, rather than mask the symptoms and waiting for it to get worse. We can address the issues in the wrist and elbow and potentially make adjustments to the upper spine. If you are having issues and feel like you may be suffering from Carpal Tunnel Syndrome, please know that you are not alone and you can find pain relief. 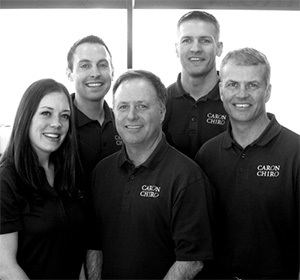 If you live in Minnesota, Caron Chiropractic Clinic, P.A., has two offices, our St. Paul and North Oaks locations. For more information, contact our Minnesota chiropractors today at (651) 255-9999. This entry was posted	on Saturday, October 8th, 2016 at 5:22 pm	and is filed under Carpal Tunnel, Chiropractic, Chiropractic Treatments, Chiropractor. You can follow any responses to this entry through the RSS 2.0 feed. You can leave a response, or trackback from your own site.